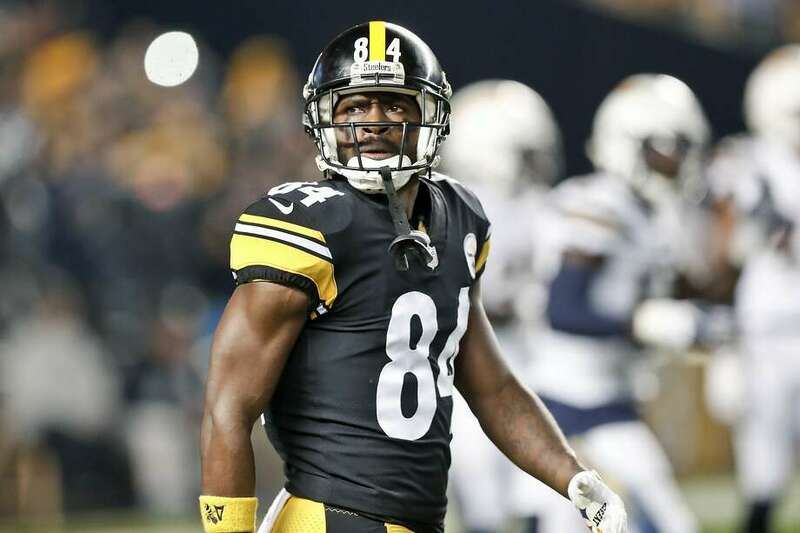 FILE – In this Dec. 2, 2018, file photo, Pittsburgh Steelers wide receiver Antonio Brown (84) plays against the Los Angeles Chargers in an NFL football game, in Pittsburgh. ESPN’s Adam Schefter first reported that Brown formally asked the team to trade him. The trade request comes after months of speculation surrounding the seven-time Pro Bowler’s future in Pittsburgh. Brown did not play in the team’s Week 17 game against the Cincinnati Bengals, and was reportedly involved in an altercation with teammates at practice that week. Steelers owner Art Rooney II said in January that it would “hard to envision” Brown back in Pittsburgh next year, and the receiver openly flirted with 49ers players on social media for weeks. A number of online betting sites now list the San Francisco 49ers as favorites to land Brown. Bovada gives the 49ers +285 odds (meaning a $100 bet would net $285) to acquire Brown prior to the start of the 2019 season. The Dallas Cowboys and Green Bay Packers are tied for second place, with +900 odds, but the Steelers are still favored to keep Brown at +150 odds despite the trade request. Bookmaker gives the 49ers +200 odds of landing Brown, which are better than the +350 odds of keeping Brown the Steelers are given. The New York Jets are given the third-best odds at +500, and the Oakland Raiders are given the fourth-best odds at +650. Last week, TMZ Sports reported that Brown was involved in a domestic dispute in January, but was not arrested. The 49ers have had a lengthy history of players with domestic violence issues, most recently an incident involving 2017 first-round draft pick Reuben Foster. During the Senior Bowl, 49ers head coach Kyle Shanahan declined to speak publicly about Brown.